Recently, I was honored to join Wendy Crawford and other mobileWOMEN.org members in viewing the second annual Raw Beauty Project in NYC, the first being held in 2006 in Miami Florida. Raw Beauty Project NYC consisted of 20 models with various physical disabilities and was held at the ACA Galleries on September 20, 2014. About 200 people were at the exhibit many of whom use wheelchairs themselves. But the project also brought out family members, friends and many others who wanted to see what this rare event was about. As a new contributor to mobileWOMEN.org and living with a physical disability myself, I was asked to write about my own experience in viewing these raw and beautiful photographs. I remember entering the gallery before the event started and feeling curious to what I would be seeing. As I wheeled the room, I saw diversity of race, age, body types and disabilities although that would be more challenging to the naked eye. But these photographs displayed women modeling in ways one might never expect someone with a disability to model. One woman who has a spinal cord injury modeled in a beautiful red dress underwater while another woman in her 60’s modeled in a dance pose as her wheelchair supported her, an artistic expression very dear to my heart. 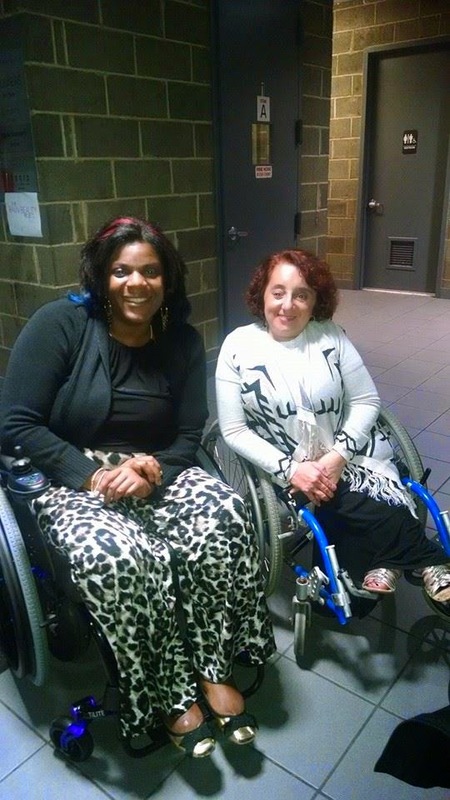 Other women modeled both using their wheelchairs and not, in alluring and exotic positions and expressed themselves through their love of sport, song or dance. One of my favorite photographs was a woman who lives with a leg amputation and modeled in a dance like pose with her prosthetic leg supporting her artistic frame. Recently, I watched a short video called "Because Who is Perfect?' of a Swiss Artist who wanted to have people with visible disabilities model to create mannequins to be displayed in Zurich department stores. The models lived with various disabilities such as Osteogenesis Imperfecta, Scoliosis, amputations and one model was a little person. The essence of this project was to display these models in their own raw beauty and create dialog, even if uncomfortable, to begin to challenge how we view the human body. The outcome showed people looking on in curious wonder as many had never seen anything like this. But over time with such a project, one hopes that this can create a new normal that can expand. I feel that this is the essence of the Raw Beauty Project, to create dialog that beauty is more than one way of being. As human beings living in a world where the physical body is what we view first, it is more challenging for our truer selves to be embraced. We see skin color, cultural and religious differences, and bodies that are seen as outside the norm of a rigid view of perfection. But if we slow down and really get to know each other, perhaps what makes us really beautiful, our kindness, embracing others different from ourselves, and even embracing what makes us imperfect can become the truer definition of beauty. But for now, this is a great start indeed. To learn more about Raw Beauty Project NYC and to see their inspiring behind-the-scenes video, go to www.rawbeautynyc.com. Kara Aiello is a new contributor for mobileWOMEN.org! 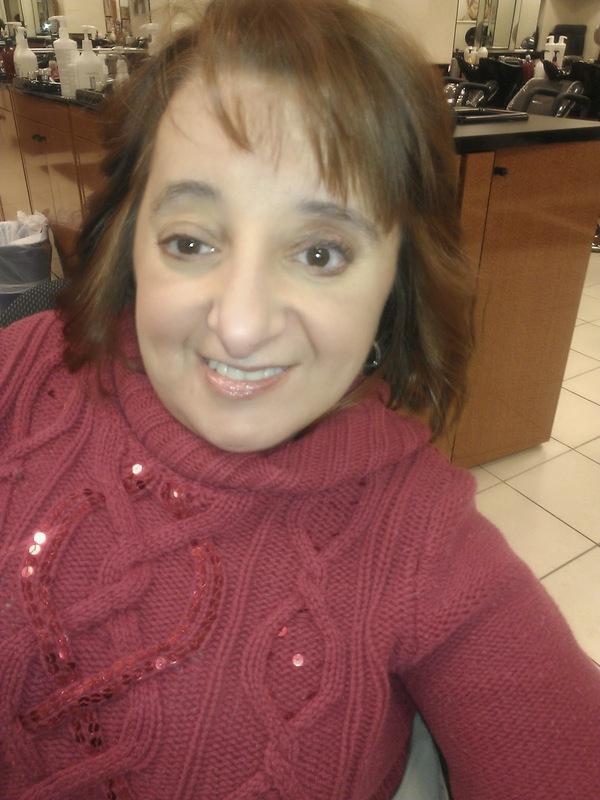 Although Kara has Osteogenesis Imperfecta which simply means brittle bones, Kara has studied dance for over 16 years now and currently dances with American Dance Wheels Foundation. But for the bulk of her dance career she danced with Kardon.. Kara works as a licensed therapist part time at an inpatient mental health facility and as a Free Lance writer for Montgomery County Community College. She also sings with the Academy Chorale as the arts are an important part of her life.